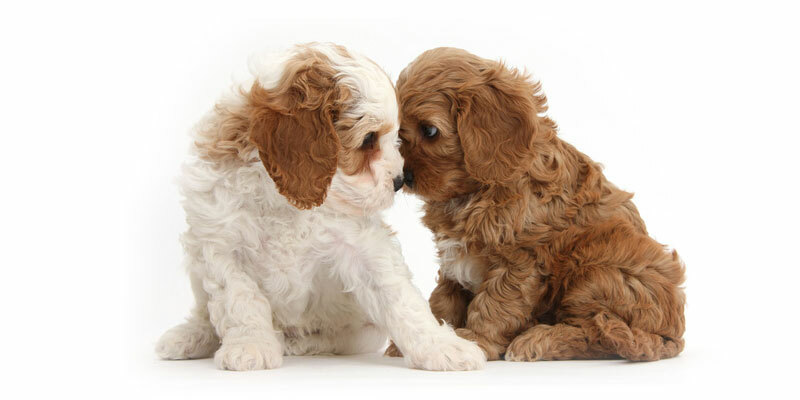 Starting your puppy training off on the right foot will lay the foundation for a healthy relationship between you and your dog for years to come. 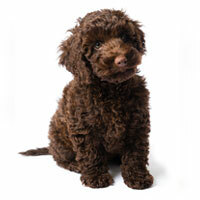 Today, we want to talk a little about training your new Doodle puppy—from the training it has already received from our breeders, to the basic principles you’ll find invaluable as your dog learns and grows. This brief article isn’t intended to teach you every little thing about raising and nurturing your puppy, but rather to emphasize the importance of training and to showcase a few helpful tips that will benefit more specific training routines, such as potty training, teaching tricks, and so on. 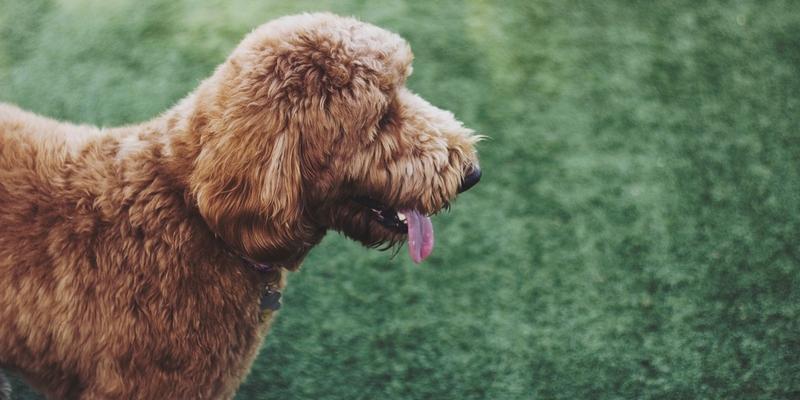 Training your puppy will have its ups and downs, but luckily for you, you couldn’t have picked a smarter, more eager-to-please partner than your Doodle. 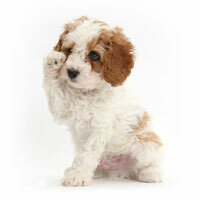 And for those who haven’t settled on a dog just yet, check out our puppy finder to get matched with the perfect pooch. As soon as our puppies enter this world, we set out following suggested guidelines from the best trainers in the US. If it sounds impossible to train a minutes-old puppy, that’s just one of the reasons why our Doodles are in such high demand. We utilize a well-researched program that makes use of simple tasks, sounds, toys and other materials (plus a healthy dose of socialization with humans and their fellow littermates), designed to influence and assist your pup as they develop into a fun-loving, easy-going, well-trained adult. Studies indicate (and trainers agree) that one of the most important developmental periods for your puppy is the 8-12 week mark. That’s why we’ve put together this intro series for new Doodle owners—so that you can continue to guide and prepare your dog for the rest of his or her life. Let us be perfectly clear here—properly training your dog will mean the difference between a peaceful, drama-free life and a life of chewed slippers, torn-apart trash bags and bark-filled nights. 99.99% of the time, the difference between a peaceful Doodle and a rowdy one is its training—and that goes for virtually all dogs. Mischief, aggression, restlessness, antisocial behavior…these are the calling cards of bad training, not necessarily a bad dog. Because we never want the thought to cross your mind of abandoning or giving up on your Doodle, we hope you will seriously commit to training your pup. Now, with the bad vibes out of the way, there’s really good news—Doodles of all kinds are absolute Einsteins when it comes to training and learning. We recommend working with your dog as much as you can. Well-trained dogs are simply dogs that know their boundaries, and who have had their desires for stimulation fulfilled. Strict training early on means your dog will be given more freedom later on, which leads to a happier, healthier pup and family. Again, Doodles are super-easy to train compared to many other types of dogs. 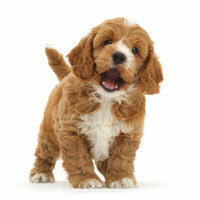 Your puppy should breeze through obedience classes and learn new tricks like a pro. Your dog should also be totally potty trained within 6-8 weeks after pickup. 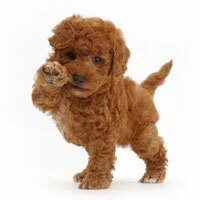 Most Doodle pups will be sitting, shaking hands, staying and retrieving by 3 months—and yes, your dog could actually be bringing you the newspaper by then, just like in the movies. No matter how brainy your puppy is, your puppy is still a puppy. Puppies will leap up on you when they want attention, and it takes consistency and persistence to break this habit early on. 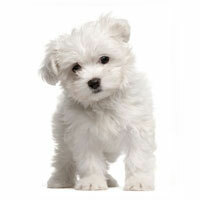 Try squeezing their paw (firmly but not painfully) and giving a firm “no” whenever they jump up. Puppies hate having their paws squeezed, and they’ll start to associate their bad behavior with that uncomfortable experience. One awesome tool that we love is called a shaker can. You can make one yourself with any kind of soda or soup can—just rinse it out and fill it with coins, then tape it up with duct tape. When your puppy is being naughty, shake the can loudly—they really, really hate that sound. Shaker cans work marvelously, and we even continue to use them for our adult dogs when they need to be reminded of the rules. Doodles crave their owner’s approval, and they want to please you above all else. These are pack animals. You are their pack leader. That’s a pretty big responsibility! 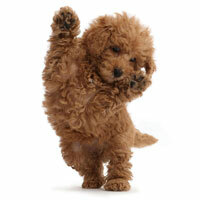 Doodles need human interaction, regular exercise, and mental stimulation to lead a healthy, normal life. Many times when your puppy acts out, it’s because they’re bored. Remember that, and it’ll be really easy to figure out why your dog does what it does.